Using the new MotionMemory feature with Crane Plus allows you to setup advanced camera movements and save them so Crane Plus will remember them for the future. It will even remember all of your time-lapse settings like the interval, number of shots, duration, and more! Now, with a simple click of a button you can repeat the same moving shots over and over again. It’s like having your very own camera assistant everywhere you go! Crane PLUS+ adds a newly designed POV (Point of View) mode that allows for additional camera movement by providing up to 45 degrees of synchronous motion on the roll axis, What this means is that rather than Crane PLUS+ keeping the camera level when you roll left or right, POV mode will move with you and roll your camera left or right, up to 45 degrees. Even simpler, when you move, your camera moves with you. The addition of POV mode, along with the 3 other modes on Crane Plus give you the level of control and freedom you need to capture almost any shot possible. The only limitation is your imagination. Crane PLUS supports object-tracking via phone app control (specific operation methods seen in the official tutorial:). Draw a box around the object you want to track on the phone screen, then your Crane Plus can easily track the moving object and shoot excellent scenes free hands. Crane PLUS+ is pushing the limits even further than before! Using our cutting-edge, 6th generation Instune Algorithm System to power the motors, Crane Plus can handle a massive weight capacity of up to 2.5kg. Whether you’re using mirrorless cameras with kit lenses or your using professional grade DSLRs with heavier lenses, Crane Plus can now handle a significantly wider range of camera and lens combinations. In the past, gorgeous time-lapse photography is only limited to daytime shooting. Now with Crane Plus arrives the NightLapse feature: A powerful new tool for creating gorgeous, long-exposure time-lapses that add in a new dimension of motion and depth. Using Crane PLUS+ with NightLapse, you can capture stunning star trails, moving nighttime traffic, capture the passage of time over beautiful nighttime landscapes, and all with the stunning motion and stability that only Crane Plus can provide. 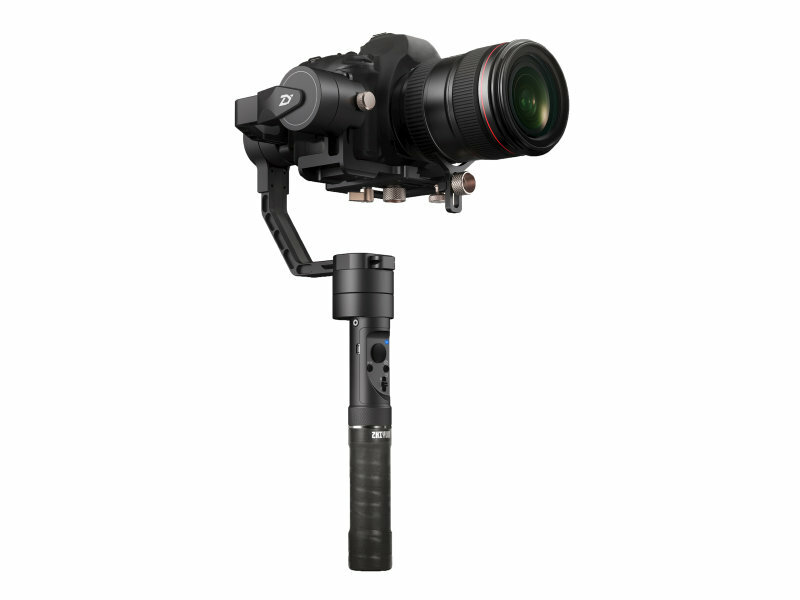 Crane PLUS+ comes with a camera control cable that can realize synchronous operation on both your camera and stabilizer like taking a photo or zooming. Combined with a dedicated smartphone app - ZY Play, Crane Plus helps to realize various advanced shootings, like motion time-lapse and panoramas, just at your fingertips. Som en av verdens ledende teknologibedrifter av profesjonelt stabiliseringssystem, tilbyr ZHIYUN verdensomspennende kunder et omfattende sett av innovative løsninger og enheter som omdefinerer måten folk registrerer livet på. Sylskarp og kompakt ultravidvinkel til en meget bra pris. En innertier fra canon! Dobbeltgreb til Crane & Crane-M.